The manufacturer is currently undergoing a patent challenge, so we've stopped offering this product for the time being. You should choose the Drive 4G-X Marine Kit in place of this kit. 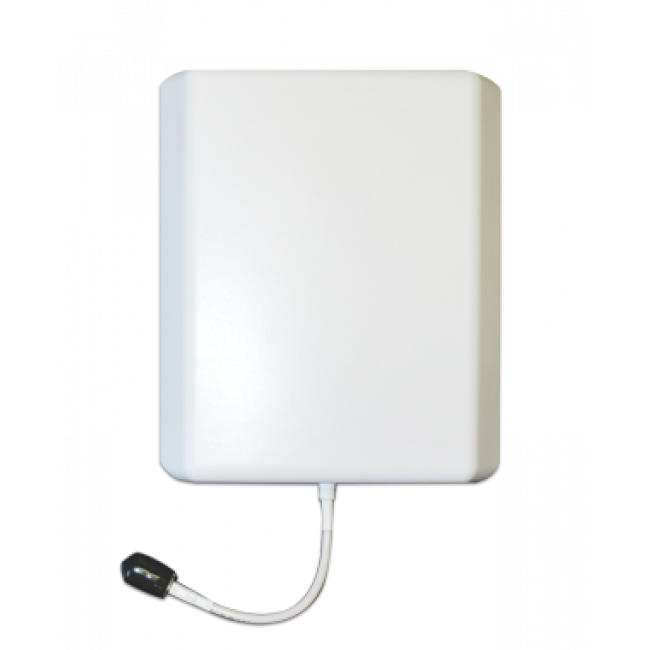 The SolidRF 4G Extreme Marine Signal Booster Kit is the most powerful marine signal booster that the FCC allows to be sold in the United States. 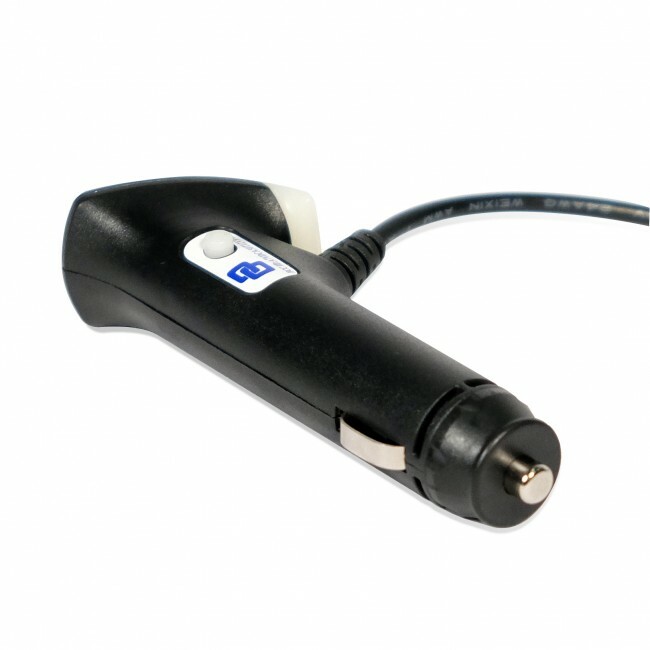 The 4G Marine allows you to have better signal further from the shore than any other marine booster on the market and has been proven to extend your signal range miles after a normal phone has lost signal. 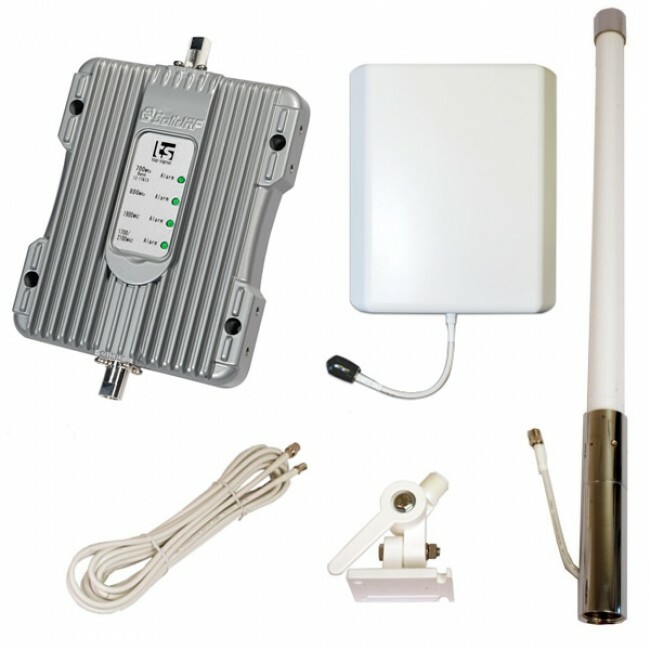 The 4G Marine kit will boost voice calls, 3G data and 4G LTE fast data from all of the major carriers in the United States and Canada, so if you need better voice calls further from shore or want to be able to stream movies to your mobile device while on the water, this is going to be the signal booster solution for you. 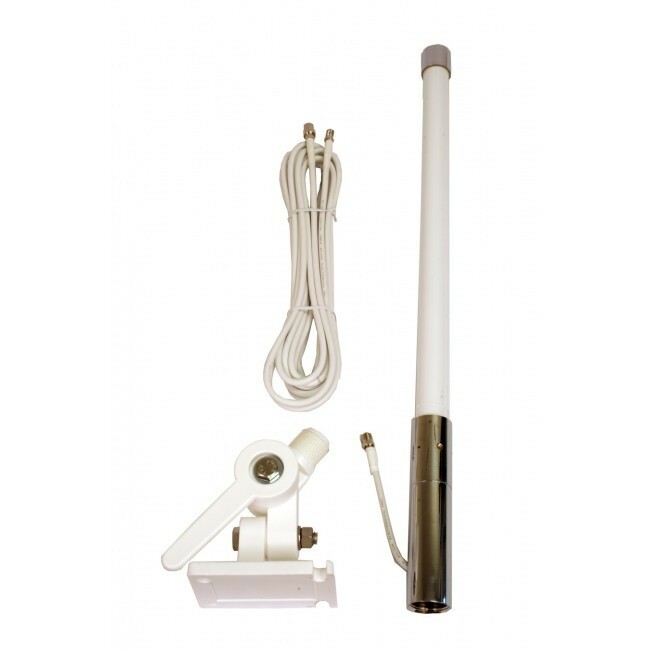 It includes everything that you need to start boosting signal on your boat, including a marine outside antenna with marine mount, the most powerful booster that you can use on the water, and the strongest type of inside antenna available. In addition, because this booster broadcasts boosted signal throughout the cabin, you can use multiple mobile devices at the same time and still get the same, great boosted signal. For all signal boosters, the coverage area is based directly on how strong the outside signal is. If the outside signal is moderate to strong, you're going to get a lot of coverage inside, but as the signal strength outside weakens, the coverage area will get smaller, until you may need to be close to the inside antenna to get boosted signal. The 4G amplifier is constructed to withstand normal wear and tear, and is encased in a metal housing for added protection. The outside marine antenna and mount are designed for use on boats, so should have no problem with the elements while offshore. The SolidRF 4G Marine Kit supports the Voice, 3G, and 4G LTE networks from all major carriers in the US and Canada. It does not support any WiMAX or iDEN networks. 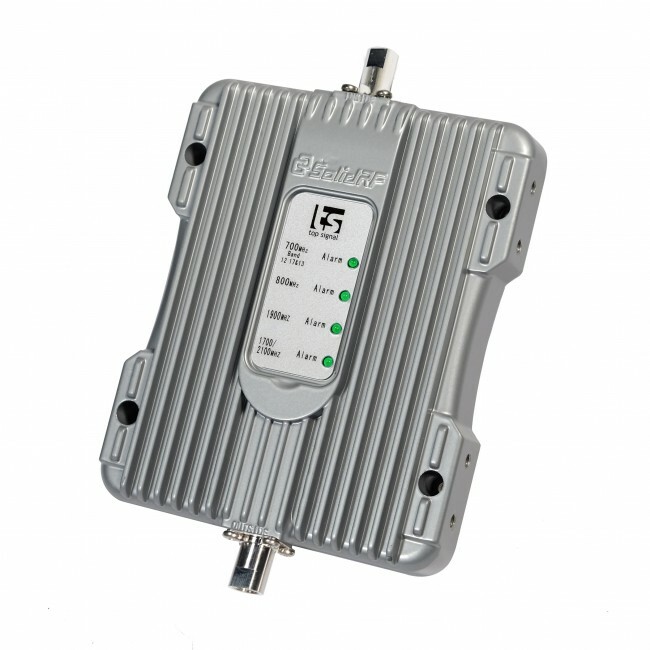 The SolidRF 4G Extreme Marine Signal Booster Kit is meant for use in North America, but it may work in other countries where the carriers use the same frequency ranges as North America. The 4G will not work in most countries in Europe, Asia and Africa, as the frequencies used by the carriers there are different than those used in the United States, Canada and Mexico. If you're not sure whether this product will work for you, we recommend contacting your carrier to find out the frequencies they use, and then contact us with the frequencies and we'll confirm for you whether the 4G Marine will work for you. 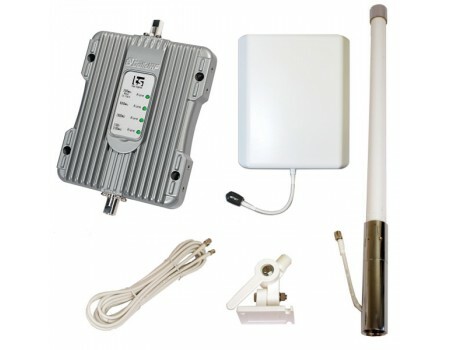 Installing the SolidRF 4G Extreme Marine Signal Booster Kit is very easy and can usually be done in just a few minutes. To start, mount the Marine Antenna using the included marine antenna mount, as high up as possible on the boat or marine vehicle. Run the attached cable into the cabin, attach the adapter to the cable and connect the amplifier's Outside Antenna port. To the Inside Antenna port of the amplifier, connect the 10 ft 240 coax cable and run to the location where you're going to mount the internal panel antenna. Locate the inside panel antenna near where you typically use the phone and mount on either the wall or ceiling (recommended) facing down. Power on the amplifier, and you should immediately begin receiving boosted signal.